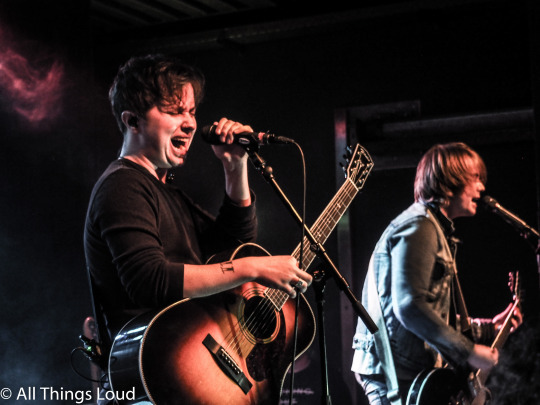 2015 has been one hell of a year for Essex quintet Nothing But Thieves. Having kicked off the year supporting former My Chemical Romance frontman Gerard Way, the band spent the following months finishing up their debut record whilst touring with the likes of Muse and AWOLNATION. Now, with their self-titled debut already out, the band are embarking on their first full headline tour of Europe. 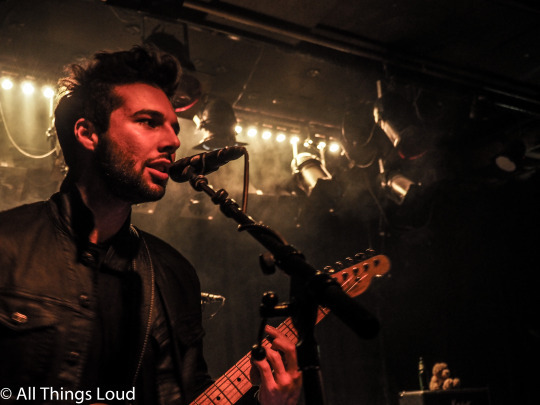 Last night, Conor Mason and co. took to a sold out Rotown in Rotterdam. Read on for a full live review. 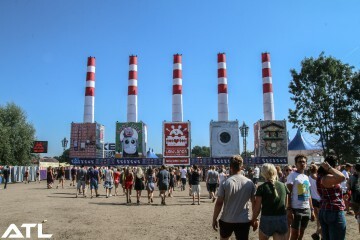 The evening, which was marred by heavy rain and strong winds, saw fans queue up from as early as 9am, with a line steadily building up along Rotterdam’s Eendrachtsplein throughout the evening. Nothing But Thieves took to the stage just after 9pm, utilizing Queens of the Stone Age’s Feel Good Hit of the Summer as their intro tune. As the band walked on to the Rotown’s small stage, debut album opener Excuse Me slowly but surely picked up the pace. As the slow verses contrasted with the track’s huge chorus, it instantly became clear that Nothing But Thieves were taking no prisoners tonight. “Excuse me while I run, I really gotta get outta here” sang frontman Conor Mason during the chorus, before jangly guitars and a simple percussive beat underpinned him. Excuse Me’s soft introduction and contrastingly huge choruses set the tone for the rest of the evening – menacingly anthemic. Popular track Itch followed almost instantly, its effects-laden intro accompanied by Mason’s fragile vocals and drummer Price’s electronic undertones. The chorus, on the other hand, is arena-sized and in-your-face. The fragile verses spend the whole song battling Itch’s huge chorus, before an extremely fuzzy rock out makes for some change thanks to Dom Craik’s whirlwind solos. Bonus track (and old EP cut) Honey Whiskey went on to utilize a catchy bassline and more RnB-tinged vocal tones, both of which combined to make way for a more subdued chorus. “I think I better go before I try something I might regret” declared Mason during the chorus, before catchy vocal sections and Philip Blake’s groove-laden bass once again became the track’s mainstay. Graveyard Whistling, one of the band’s earlier tracks, received an airing as it encompassed more calm and laid back elements. The song builds up in a similar fashion to In Rainbows-era Radiohead, before its chorus contrasts and sounds more ‘accessible’. Ambient background noises make appearances throughout the track, before its breakdown showcases Mason’s impeccable vocal tone. He hits notes (both live and on record) which would just embarrass artists who have been busy twice as long as he has, and watching him put his all into it onstage is just an amazing sight to behold. 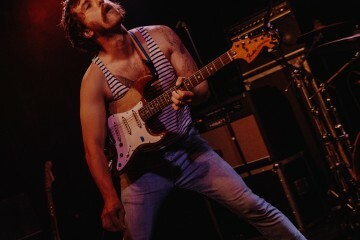 It’s not just Mason who goes all out, though, with the rest of the band equally energetic and encapsulating to watch. Rare fan favourite Last Orders, which the band have seldom played, received a surprise airing. Bearing resemblance to newer track If I Get High, Last Orders’ subdued tone helped the show gradually progress. “Someone took objection to my face with a bottle” sang Mason, his vocals sung back to him by a loud selection of diehards in the front row. Newer track Drawing Pins followed, speeding up the pace and climaxing in an absolutely mental rock-out. “Tell me what you did it for” asked Mason during the chorus, his onstage energy being taken up a few notches as he jumped around energetically. The onstage energy which the band presented was picked up on by the audience, who reciprocated with utmost dedication. Painkiller kicked everything up a few more notches, with it being the band’s most upbeat song to date. Given the right conditions, Painkiller would be the kind of the song which has the ability to incite crazy pits throughout the whole crowd. Tonight, though, crazy crowd behaviour seemed largely out of the question due to the young nature of many fans. 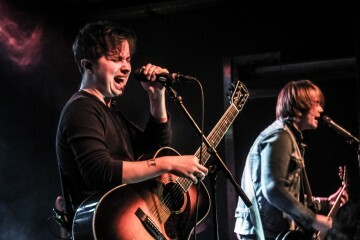 Within not even a year of touring in Holland, Nothing But Thieves have already drawn a very large female fanbase, selling out both shows they’ve scheduled on this tour (tonight the band will take to Amsterdam’s Bitterzoet). Ahead of Trip Switch’s fuzzy bassline and huge chorus, Mason asked for everyone to sing along as loud as they could, with pretty much the whole room complying and showing the band what they had in store. Mason seemed genuinely humbled the reaction his request received, finishing the song while still in awe of the packed room. 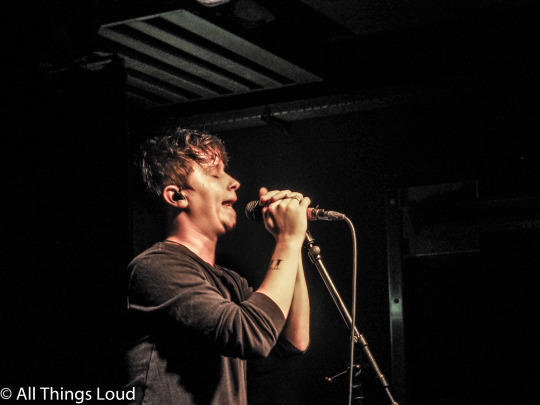 Newer bands like Nothing But Thieves can generally be hit or miss on Dutch shores, however tonight’s show proved that the quintet are most definitely a hit. Penultimate main set track If I Get High recycled Last Orders’ intro, with this song bearing more emphasis on Mason’s impeccable vocals. As the song builds up, it bears resemblance to early Radiohead (see: The Bends-era), with Mason’s long-held wails most definitely demonstrating the influence that Jeff Buckley has had on him. Buckley’s DNA is all over Mason’s voice, and you can hear it particularly well during any high notes. The main set came to a close on current single Wake Up Call, which probably best represents everything Nothing But Thieves stand for. Powerful guitars? Check. Huge chorus? Check. Eargasmic solo? Check. Wake Up Call has it all, and it’s definitely one of the band’s strongest cuts. As the song came to an end by means of a high-pitched solo, it became very clear that Nothing But Thieves still weren’t taking any prisoners. Rather, they were taking Rotterdam by storm. During the encore, the band had time for just three more songs as their show eventually spanned just under an hour. It’s a bit on the shorter side, but the quintet’s energy more than made up for this. Slow-paced album closer Tempt You (Evocatio), which was originally put out in 2014, opened the encore, before Hanging’s pulsating bass and memorable chorus brought the show closer to its subsequent end. “Mary Jane, are you gonna come for a dance today?” asked Mason, his lyrics definitely hinting towards the weed use which Mason and co. are fond of whenever they play in Holland. The whole evening came to an end on breakthrough single Ban All the Music, which encompassed Jack White-esque riffs and an in-your-face chorus filled with hard rock swagger. “Ban all the music, it’s all gone wrong” declared Mason, his claim echoing throughout the room and hitting the pint-sized frontman right back in the face. Once the track, and show, came to an end two things became clear – 1) tonight’s show was, at 55 minutes, way too short, and 2) Nothing But Thieves are made of stuff which should see them soon sell out venues far bigger than the Rotown. Playing for 250 people is nothing when you have the ability to play for 25,000, and it’s definitely something which this band are going to do one day. Nothing But Thieves is out now via RCA/Sony. Stream it here.